Being Jamie Baker by Kelly Oram- Entirely new and incredibly entertaining! More Than Jamie Baker by Kelly Oram - Oh my gosh, the ending. The ending!! 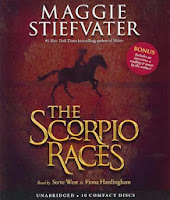 The Scorpio Races (audiobook) by Maggie Stiefvater - Seriously, this story just gets better and better. The narrators are fantastic, too! 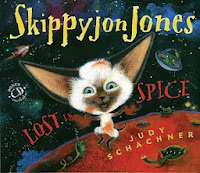 Skippyjon Jones Lost in Spice by Judy Schachner - Oh, Skippyjon Jones. Too much cuteness. Ender's Game by Orson Scott Card - We read this for our book club and I was pleasantly surprised by how much I loved it! Dream Girl by S. J. Lomas - A really interesting idea, but I wish it had been executed a little differently. I genuinely enjoy reading those cute little kids books!